Toyota began the 2011 year with news that it was closing in on a magnesium-powered battery that would make lithium batteries pale in comparison. However, Toyota isn’t the only company developing such technology. In fact, a handful of companies are trying to come up with not only the technology for the battery, but also an inexpensive way to reproduce it. The entire concept of a magnesium battery draws on the element’s abundance and lightweight. Both factors would appeal to an electric car buyer’s environmental side. The lightweight would also contribute to the power that the electric car so desperately needs. Magnesium’s catalyst that fuels the battery is also much more powerful than that of the lithium batteries currently used. 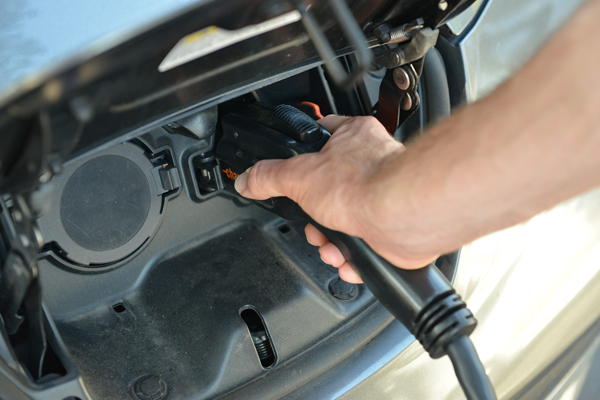 Fuel cell batteries generate their power as a result of a chemical reaction within the battery. The inside of a fuel cell consists of several components, among them two electrodes and an electrolyte solution. The electrodes are positive and negative that uses the electrolyte to carry the charge between them. A catalyst provides speeds up the reaction that creates the charge. In a magnesium fuel cell, the magnesium is that catalyst. It is introduced to the salt water electrolyte, creating a chemical reaction that jumpstarts that electric charge between electrodes. The power is strong enough to run a car for seven hours, much longer than current battery powered cars. Race cars running on such batteries were showcased at the 2011 Consumer Electronics Show in Las Vegas. The natural assumption is that consumer autos were not far behind. However, one Japanese company places the mass produced magnesium battery as far out as 10 years in the future. Why, It is the price of processing and extracting magnesium that has made this wonder metal a slow contender. Magnesium Alloy is the third most abundant in the Earth’s crust, and even found in massive amounts within seawater. Extracting the pure magnesium from these sources and processing it into a form that can be used in fuel cells takes a lot of energy in the form of extremely high heat. This make the processing also an expensive endeavor. Many studies are being conducted worldwide to find a cheaper production, but so far, none have succeeded. The possibilities for magnesium are endless, especially in making the battery powered car a must-have item. Another decade or so of research is required. Until then, new concepts for use of magnesium are endless.